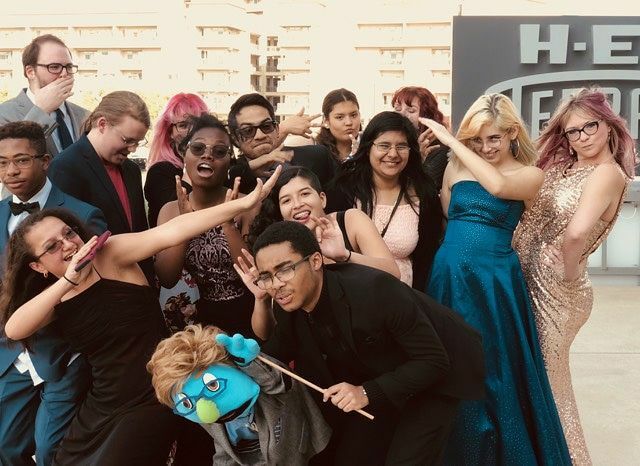 Yesterday Viking Theater had the honor of attending the Greater Austin High School Musical Theater Awards Ceremony along with 11 of our students! In addition, two of our students - Krista Hollins & Anthony Collins - had the opportunity to perform onstage in several musical numbers. Krista, who was nominated as a Featured Performer, did a great job singing and dancing with her ensemble all while wearing a giant dress! Our charming Anthony Collins, nominated as best supporting actor, was selected to introduce everyone in his category via his adorable puppet! They both did a wonderful job performing and were great representations of our campus. Although we didn't win the grant we were shooting for to help us start next year's musical with a bang, we are so proud of all the progress and hard work we've seen the kids put into our department this year. 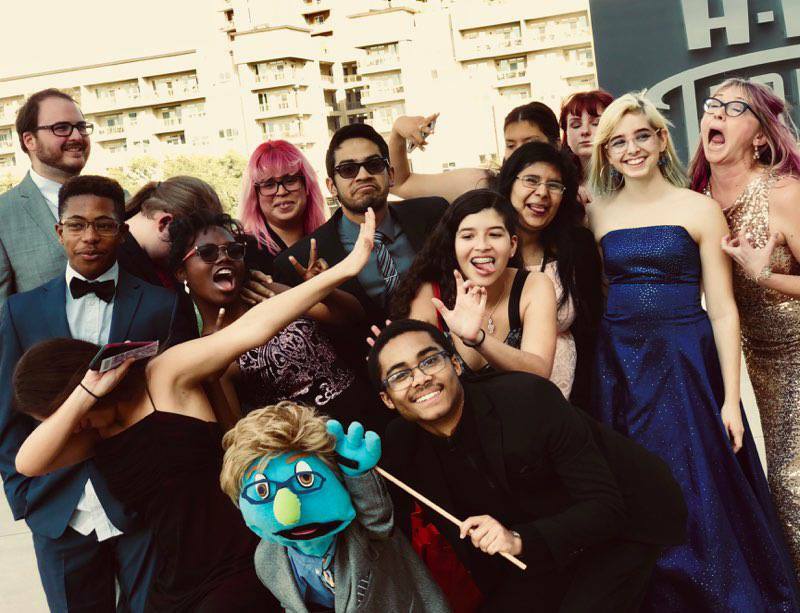 Avenue Q was certainly the highest grossing musicals we've produced and it was very rewarding to see so many of you come out to celebrate all the hard work the students put in. In addition, our UIL performance was ranked as our highest performance in years by the judges and we were incredibly excited to take the alternate placing. As our contest director stated, they've never seen anyone so excited to be an alternate. More importantly, we continue to be impressed and proud of what good citizens and performers our students are growing to become. They perform their hearts out while also being genuinely excited to compliment and congratulate other performers. That, to me, is one of the most important skills we leave them as performers and technicians. In closing, Wallner & I would like to say thanks to you all for your incredible support throughout this season. Whether it was dealing with a student who was struggling, attending our performances, or politely reminding a student for the kazillionth time of a past due assignment -- we are so grateful for your support. We have numerous seemingly impossible future challenges to tackle in continuing our path of building the department to make our campus proud. With support from such a wonderful campus and staff, we know that this trend of growth will continue in the years to come. Thanks for such a wonderful season & we can't wait to see what next year brings!